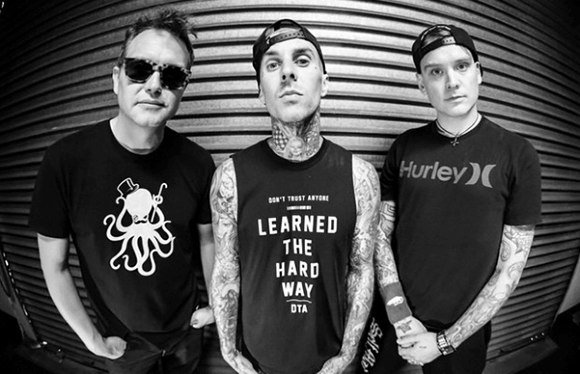 It's a big year for Blink 182 as they hit the road to support their latest brand new album as well as a fresh line-up and here's your chance to be there for this unique and exciting show! Blink 182 need no introduction as one of the most popular pop punk acts of the late 1990's with their unforgettable anthems such as "All The Small Things" and "Miss You!" Catch all of this plus brand new material LIVE in concert with support from A Day To Remember & All Time Low at Farm Bureau Live on Tuesday 16th August 2016!! Blink 182 emerged onto the Californian punk scene in the early 90's and hit the big time in 1999 with their third album 'Enema of the State,' the record included 3 of their most recognizable singles, "What's My Age Again? ", "All the Small Things", and "Adam's Song" – that year their career was transformed, going from an underground act to mainstream, smashing the major radio stations, and played on a daily basis on MTV. For the last 20 years, Blink 182 has hold their status and still remain in the hearts of many nostalgic rock lovers as well as gaining a modern fan base with their freshly released music. Their sound just gets better and better as fans return to their annual shows – "Blink 182 is definitely a band that still rocks 21 years later and will still rock for as long as they continue to be a band!"